Home » Could This Top Investor Be Right About Gold? This week, Your News to Know rounds up the hottest topics in the world of finance and the gold market. Stories include: Why Stanley Druckenmiller is right to bet on gold, James Steel sees gold as long-term insurance policy, and Nazi gold train hunters begin their search. In a recent piece on MarketWatch, financial commentator and analyst Cody Willard explained his reasons for siding with Stanley Druckenmiller on the issue of gold. For many, Druckenmiller’s impressive resume is enough reason alone to heed his bullish views on gold – as well as his bearish views on the stock market. Willard, however, admits that his views on stocks differ from the billionaire fund manager, if only due to the stock market’s historical resilience. But when it comes to gold, Druckenmiller and Willard are unanimous: It has nowhere to go but up. Willard argues that too many factors have combined for the financial system to have another five years of ‘stalling’. To Willard, it doesn’t matter who ends up in the White House; the trillions of dollars of debt, currency devaluation races, negative interest rates, the Fed’s Quantitative Easing, worldwide conflict and electronic defense risks have already started to affect the price of gold. The fundamentals are in place, Willard believes, and the precious metal only stands to reap more benefits. 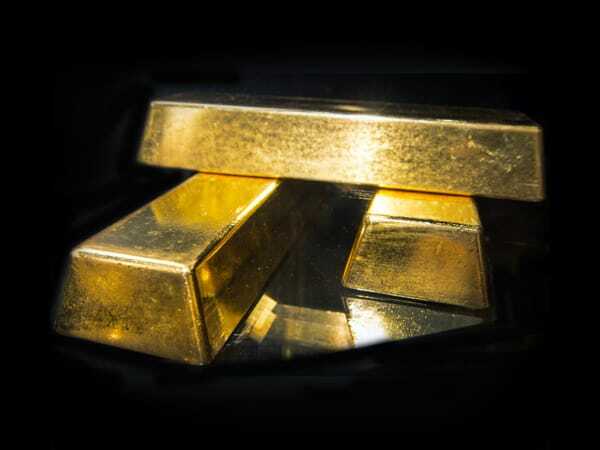 Willard feels that all signs point to further near-term increases in gold’s price as well as a five- to 10-fold increase over the course of his lifetime. With that said, Willard makes a case of warning investors to stick to physical gold by drawing on the lessons from the 2008 crisis: When things get ugly, ETF paper promises “aren’t worth the paper they’re written on” and defeat the purpose of using the metal as insurance, making real gold the only way to go. Bloomberg recently interviewed HSBC analyst James Steel about his views on gold’s past and present, starting with the question that is likely at the forefront of everyone’s mind: Is gold going to get “peaky” and drop down, as was the case pre-1980 and in 2011, or will the yellow metal be able to keep it steady? Steel believes the latter will be the case, citing a lack of dislocation that was seen in previous peaks. In terms of drivers behind gold’s rally, Steel pointed to the dollar’s history of weakness and negative rates in the present as well as some weakness in emerging markets. Steel also said the gold market had to recalibrate; last year’s falls were partially based on rate hikes that didn’t or aren’t going to happen, so the market had to recover from that. Asked whether gold will be the most overcrowded asset class (given how many market watchers have recently advised Americans to stock up on it), Steel reminds that the metal only makes up for around 6% of the total financial market – to him, the current gold demand mainly acts as a barometer of people’s sentiment in regards to various markets. Lastly, Steel dispensed some advice to gold bugs: While HSBC is moderately bullish on the metal, he urged lovers of gold to focus on its perks of insurance and portfolio diversification instead of getting too caught up in the daily, monthly and even yearly rises and falls. For a while, Poland seemed to have given the world a new gold rush destination: Tales of a hidden 300-foot Nazi train full of gold got many treasure hunters reasonably excited. And while recent research in the area suggests that there might not be a gold train after all, the Telegraph reports that two treasure hunters aren’t giving up: Piotr Koper and Andreas Richter stand by their initial claims of locating the train and are preparing themselves for a major excavation. Despite skepticism, the two men pursued and obtained a license to excavate on the land from its owners and have recently announced that “the whole team is ready for action”. The effort will involve clearing some 100 trees in order to sink three exploratory shafts to reach the hidden areas. While there’s no question that their payday would be massive if they manage to find the vaunted Nazi train, Telegraph’s Matthew Day argues that there’s a consolation prize waiting for the team should they fail to locate one: Exploring the vast and undiscovered tunnel complex should provide plenty of thrills on its own. Are government regulations costing Americans trillions of dollars each year? Read more here.